Born in Buenos Aires in 1955. She started studying photography in 1979. 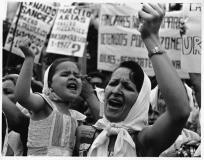 Between 1982 and 1995 she worked as a press photographer for La Voz newspaper, DyN news agency and Página/12 newspaper. 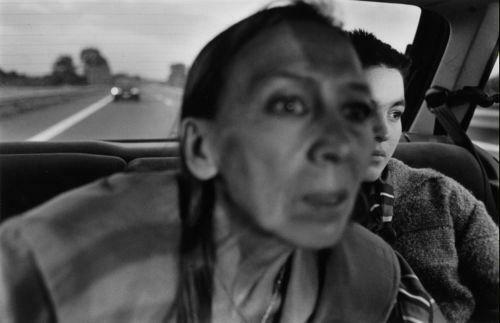 She did photographic works such as "El Amor" (Love, 1992-2005), "Madres e hijas" (Mothers and daughters, 1995-98); "Mujeres presas" (Women in prison, 1991-93); "Madres adolescentes" (Teenage mothers, 1988-1990); "Hospital infanto-juvenil" (Hospital for children and adolescents, 1986-88). Since 1995 she complements her artistic production with teaching, coordinating workshops on photography. In 2002 she was invited to participate on the "Violencia/Silencio" (Violence/Silence) project, organized by TRAMA (Argentina) and Pulse (South Africa), that took place in Durban and Nieubethesda (South Africa). She has worked as a curator in several opportunities. In 2004 she took part of the jury of the Fundación Nuevo Periodismo, directed by Gabriel García Márquez (Cartagena, Colombia), and in 2005 she was invited to be a member of the jury in the "Fair Look" contest, organized in London by the British Council and the Association of Civil Rights. In 2007 she did a photography workshops in Ezeiza's Prison for Women #3 (Argentina). 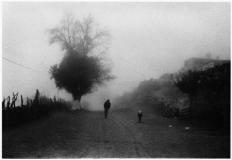 Since 2005 she collaborates with the Dulce Equis Negra magazine and the books of the Argentine Photographers collection. She has exhibited her work both individually as well as colectivelly, in Argentina and abroad, doing this year a retrospective of her work ("Lo que se ve", what is seen, Photographs, 1979-97, Sala Cronopios, CC Recoleta). She has published two books: "Women in prison" (Argentine photographers collection, 2001 and 2008) and "Mothers and daughters (La Azotea Editorial, 2003, with a grant from the Guggenheim Foundation). Among other awards and distinctions, she obtained the Hasselblad fellowship (Goteborg, Sweden) in 1991, the Mother Jones International Fund Award (San Francisco, USA) in 1997, the Leonardo Award (MNBA, Buenos Aires) in 1998, the Konex Award (Buenos Aires, 2002), the Guggenheim fellowship (1995), which was awarded to Argentine photography for the first time. Her works are part of the following collections: MNBA, Buenos Aires, MAMBA, Buenos Aires, MACRO/Castagnino Museum, Rosario, Argentina, Museum of Fine Arts, Houston, USA; Museo de Bellas Artes de Caracas (Venezuela), Bibliothèque Nationale, Paris, France, Chateau d'Eau, Toulouse, France, Hasselblad Center, Göteborg, Sweden, Centre Régional de la Photographie Nord Pas-de-Calais, France, private collections of Argentina, USA and France. She is represented by Vu Agency (Paris). She currently lives and works in Buenos Aires. Image from the "Women in Prison" series (1991-93) Gelatin Silver print, 50 x 33 cm. Photograph taken at the Prison #8, Los Hornos, La Plata, Argentina, 1992. Direct shot, Leica M6, Leite Summicron lens. This picture is part of the series that I did back at the Prison #8 in Los Hornos, La Plata, between 1991 and 1993. During a year, I weekly payed a visit to this place, in order to take photographs of the women that are there, imprisoned with their children. My work is always a result of a certain impulse or need, whenever I feel a situation or subject as mine, or when there is something that I need to understand or find. Despite the fact that I start from a certain idea, I try to be opened to the situations I might bump into, my relation with the people I photograph, things in my life that start to move because of my work, my dreams... I let these things move me, reveal secrets to me. To me, a work leads to understanding, to approach something unknown that, luckily, eventually would make sense. I believe in necessity and nothing more. That's my only parameter. Necessity as an urgence, it commands an impulse that tries to catch an inner image. The question is how to find it, rebuild it, get it out of oneself. It's not that I'm there and I say: There's something here. Generally, I'm not aware of this. But it's like it unfolds the process or the attitude. I focus my attention on something. I look something, and take a photo of it. Within that act of looking, suddenly, other images erupt, as if the trigger were inside. I feel the image is, somehow, already set inside. That's where the impulse or the necessity comes from. Taking photographs is to recognize that inner image that originated it all. I don't believe in the blank page. A blank page is full of stuff; when I'm taking photographs, cleaning up helps me understand where am I going, what is it that I'm trying to see. It's all a matter of synthesis, of being able to get rid of anything that's noessential and find a place for every image. Sometimes I compare photography with sculpture: finding the form, the shape inside a piece of stone. I think an artist is not truly a creator when he himself is present within the work. The self must be trascended, forgotten. Let that thing that I've seen go beyond myself. That creation goes down like a parable, like a healing process. I suggest -I tend- for my work to be read without any preconception, let it be listened from inside, connecting it with whatever feelings it may arouse. Let it be devotion in this reading.